For the last two years, mobile journalism has entered common editorial practice, from the largest to the smallest newsrooms. Driven by the adoption of Facebook Live and by the willingness of journalists to share their experiences on the ground in new ways, lightweight mobile video has become widespread. 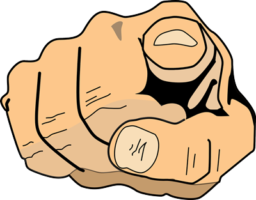 I want to share with you here a few pieces of advice to help you choose your “mojo kit”well. Whether you’re a freelancer, a journalist in local media, a radio reporter or a video journalist the needs, expectations and budgets will differ – which is why for each accessory there are a few options listed. But before talking about the kit and pressing on the “buy” button, it’s important to address a few early questions to help best define the needs and uses you have in mind. 1. What is mobile journalism? 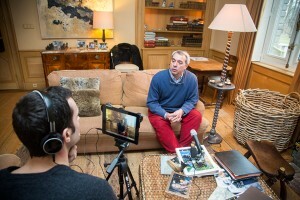 2012 – First video interview with an iPad. 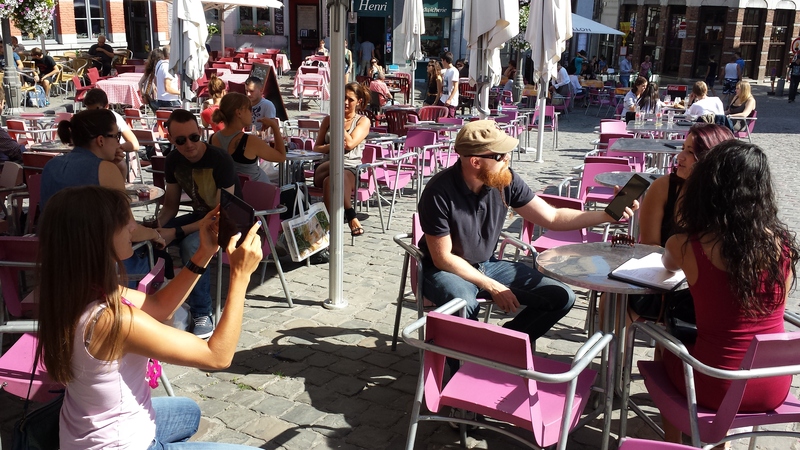 « Mobile journalism” is using all the possibilities offered by the combination of a smartphone, some apps, social networks and an internet connection to cover easily and quickly what is happening on the ground. The freedom offered by a smartphone challenges our creativity and our ability to come up with new ways to tell stories. From traditional video reports to covering an event in the form of bite-size stories, as well as with “live” video, mobile formats can offer an exciting range of options. The smartphone is obviously at the centre of “mojo”, but action cameras like Go-Pros, drones, 360 cameras or some other type of lightweight gadget are another part of this too. 2. For who and when? Mobile journalism is for all those who want to take advantage of their presence at a story to capture video, take photos, record sound or go live. 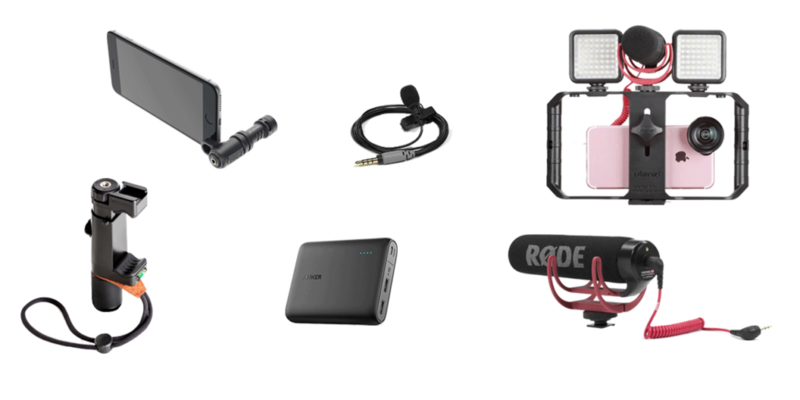 From a local newspaper to a network video journalist, everyone can find the kit and applications they need for each occasion. 3. 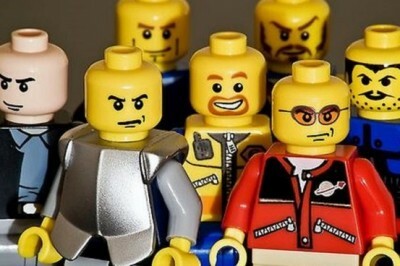 Professional quality or merely low-cost? No, a journalist on their own with just a smartphone won’t ever be able to come up with the same type of output as a TV crew. And anyway, that isn’t really the objective. Mojo is a complimentary activity, giving everyone the chance to make audiovisual content with lightweight equipment which won’t break the bank. But it’s fair to say that a recent iPhone, paired with professional accessories and apps, can form part of the arsenal of a director or TV crew or documentary maker. The tech is ready. If it’s used with professional know-how, the cocktail will be quite heady. This is the question that comes up most often in training or during chats among media types – but the answer should leave you in no doubt. The iOS ecosystem wins, hands down. News organisations which go for Android are often soon biting their hands in frustration. (If this is not the case for you, I’d be interested in hearing more, so leave a message in the comments). 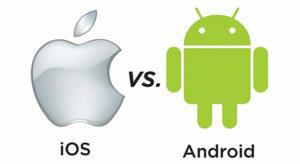 iOS: Quality and range of apps; stability of the operating system, the performance of the phones, up-to-date accessories. Apple is far ahead thanks to the consistency and quality of its ecosystem. Of course, the exorbitant prices, problems over compatibility and the fact you can’t easily increase device storage are big drawbacks. But the reliability is unquestionable. On the side of Android, the range of apps (those that work as advertised) for shooting and editing video is meagre and the solutions offered are unreliable or incomplete. Without going into too much detail, the thousands of versions of Android currently being used, as well as the manufacturers’ own skin put on top, makes the compatibility and effectiveness of professional apps very uncertain. As an example, during a training course “shoot and edit on Android”, with a dozen or so trainees with recent mid-range Samsungs, four journalists with the same type of device each experienced different problems. Apps crashed while filming; files couldn’t be found (either in the photo gallery or the SD card); videos came out in poor quality. It was hell. 5. Where to find this kit? There isn’t a specialised shop which brings together kit and accessories. So for ease, I buy everything from Amazon. For shooting AND editing footage? If you only want to record video and then edit on a laptop or desktop, a mid-range smartphone will do you. The editing apps need a lot of power and processing power. Spending less than 200 euros isn’t really an option. If needs be, then get a smartphone one generation older with a larger capacity, rather than the very latest versions. Makes to avoid – by virtue of the version of Android used – Huawei, Honor and Wiko. Which iPhone? For the best balance between quality and price, go for the 6s+. All the accessories have been tested during shooting for L’Echo where I work. (I’ve added some useful recommendations from the guys who put together the VMP podcast – in French). The kit here is useful for new starters in the field and for those wanting to publish online. The specific needs for a *broadcast* production, especially TV, aren’t covered here However, many of the accessories here meet professional requirements. ◊ Whether it’s for stabilising your shots, getting a better grip or for augmenting your phone with accessories, grips are a key part of a smartphone kit. Before making your choice, make sure the dimensions of your smartphone will fit with the mount. Shoulderpod S2, R2 et X1| This is the reference model for clamps, holders and kits for smartphones. Sevenoak SK-PSC1 | 30 € | An option to the S2 of Shoulderpod. Not only is this cheaper, it also has a number of shoes for other accessories. A must. Zeadio Trépied 2 en 1 | 16,00 € | An all-purpose handle with extendable clamp. Grip Ulanzi U-Rig pro | 23 € | Very cheap and very useful, this rig is ideal for adding several other accessories. Røde Smartlave+ | 48 € | An extension cable would be advisable. 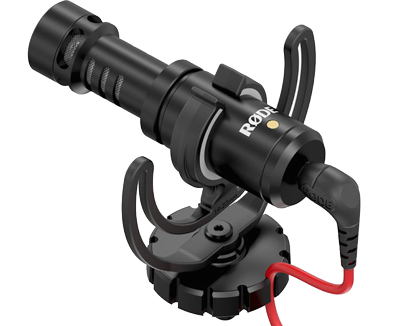 Røde VideoMic Me | 52 € | Can be mounted directly to a smartphone. Røde VideoMicro Compact | 48 € | needs to be fixed onto a mount or grip. Røde VideoMic Go | 59 € | needs to be fixed onto a mount or grip. Røde VideoMic Pro | 154 € | Lightweight professional mic with good results. Three levels of output. Ideal for reporting. Balanced to prevent noise during movement. Røde SC3 | 10 € | To connect a smartphone (TRRS) mic to a device using a traditional TRS connection – so to use a SmartLav+ with a Zoom H1. 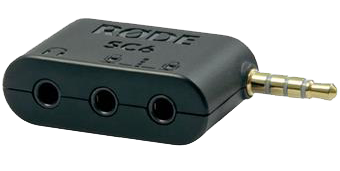 Røde SC4 | 10 € | To connect a traditional TRS to a smartphone or tablet which needs TRRS. TRRS de 6 mètres| 18 € | Some mics don’t have a long enough cable which can caused problems during an interview, for example. iRig Pre Interface Micro | 36 € | If you want to connect a pro mic with XLR or large jack. Saramonic mixette | 120 € | Separate audio switcher XLR/3.5 mn for tablets and smartphones. Tascam DR-70D mixette | 253 € | Recorder with 4 separate audio track, jack or XLR. iRig Pre Interface Micro | 36 € | Interface XLR & jack 1/4. ◊ Make sure you get a battery with a minimum capacity of 10000 mAh, and one which has two USB ports so you can charge two devices at once. Anker 10.000 mAh | 21 € | Compact and light but with only one USB port. Rangers – Duo trépied et monopode. ◊ In addition to traditional tripods, flexible table-top tripods can be very useful. GorillaPod SLR Zoom | 65 € | Table-top sized tripod for all surfaces and also with a flexible head. 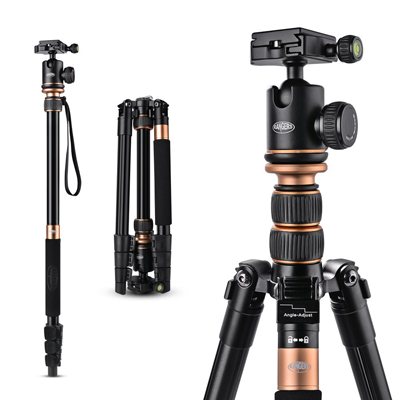 Manfrotto tripod | 56 € | Light, compact and practical. 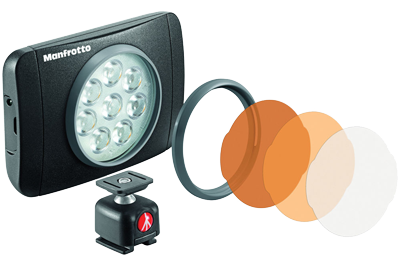 Manfrotto monopode | 125 € | Robust yet compact, the ideal companion. ◊ Selfie sticks have given journalists a new option – to do a live, to film a wider view of a crowd at a demo or to try out different angles. Taotuo Selfie | 18 € | Multi-function stick with a tripod base, a flexible head and a remote trigger | Alternative: Benro Smart, 31 €. Perche télescopique | 22 € | Telescopic pole with added tripod. Aukey perche | 21 € | Grip, flexible head, tripod, remote control. ◊ The Swiss army knife of the video reporter, a motorised stabiliser offers many options: stables shots, moving fluid shots, first-person reporting, timelapses, panoramas. The leader in this field is DJI Osmo Mobile (240 €), but a new cheaper model also offers a portrait mode which could be useful. 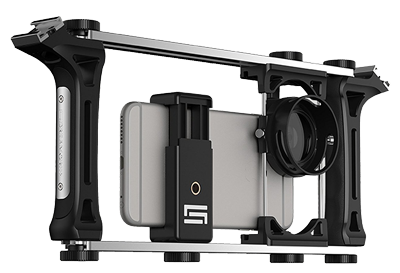 Other options include Zhiyun Smooth Q Gimbal (150 €), Movi Free Fly (300 $). Here are two articles in English which compare and contrast several gimbals 1 & 2.